I’m not normal people. 1st off I’m 6’5″ 320, so I stick out like a sore thumb. Like most of you, I’m after every shred of info I can get about the Sooners. If ESPN is on and they say something about the Sooners is coming up I’ll wait for it to come on and most likely go with a little less sleep to watch it. Well in my travels of going to work before sunrise there’s a lot of talk radio on Sirius XM that I listen to. 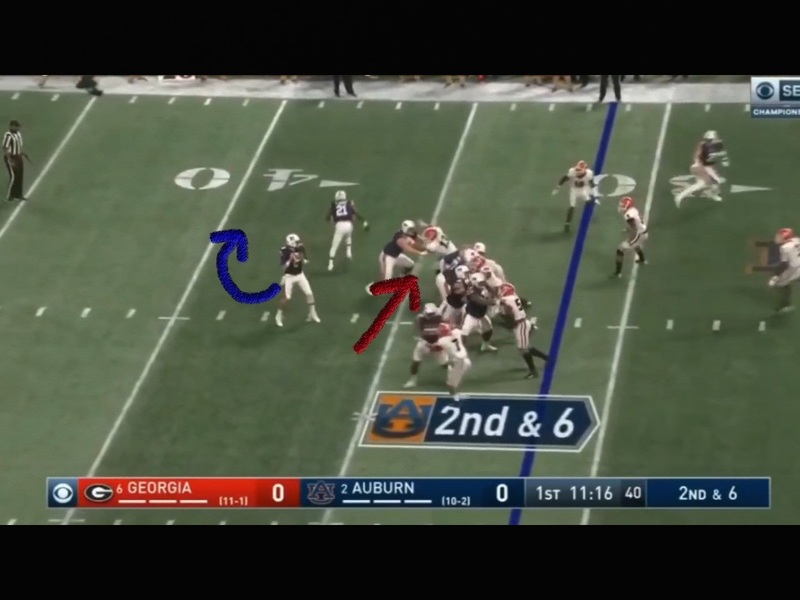 The narrative leading up to this 2nd Georgia/Auburn matchup was how Auburn “looked the part” of a dominant team, and Georgia was still a year away. 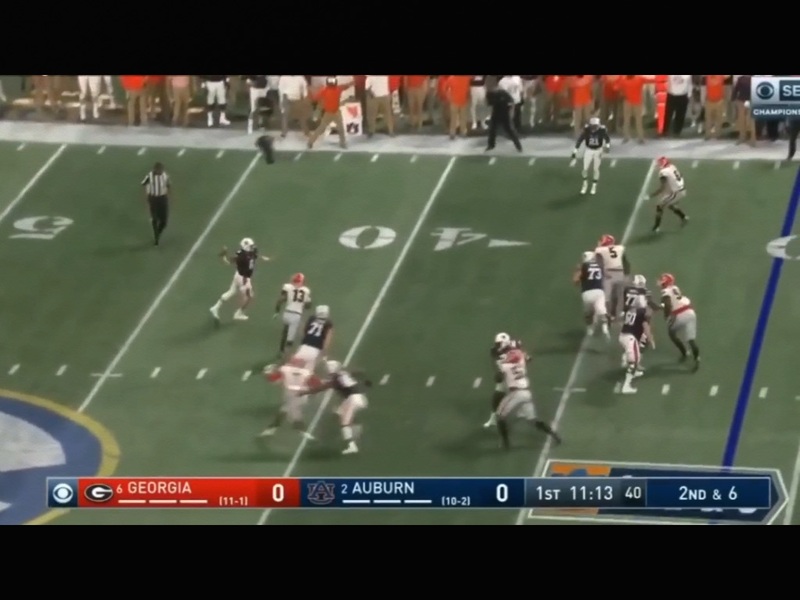 They explained how Georgia was outmatched physically and that to expect more of the same after Auburn had beat both Georgia and Alabama going away. Admittedly, Auburn and Ohio State were the two teams I didn’t want to see get into the playoffs. Now fast forward a few weeks after Georgia put it on the Tigers pretty good, and the Bulldogs have all of a sudden become the ’85 Chicago Bears defensively. 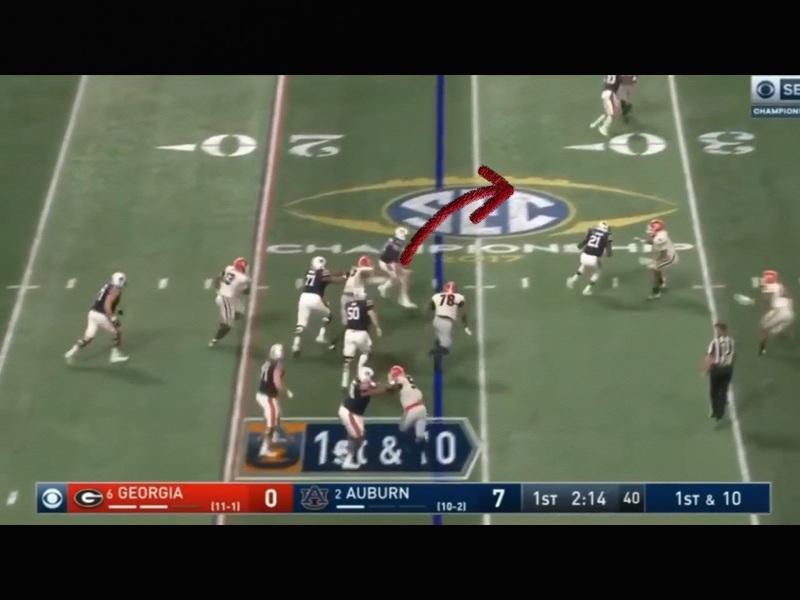 On the run, going to his left, Stidham threw a dart down the sideline. 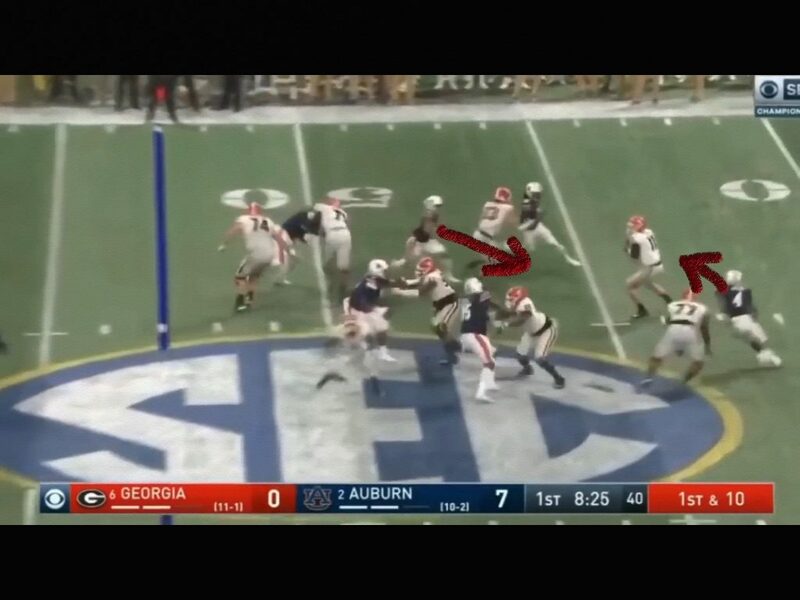 It appeared the QB was on his game early, and even though Georgia was winning a matchup here and there, it looked like Auburn was going to make all the plays. Because this play was one that you just tip your cap. After the QB rolls out and throws a laser down the sideline, his receiver got both feet down and took a big hit to move the chains for a big play. 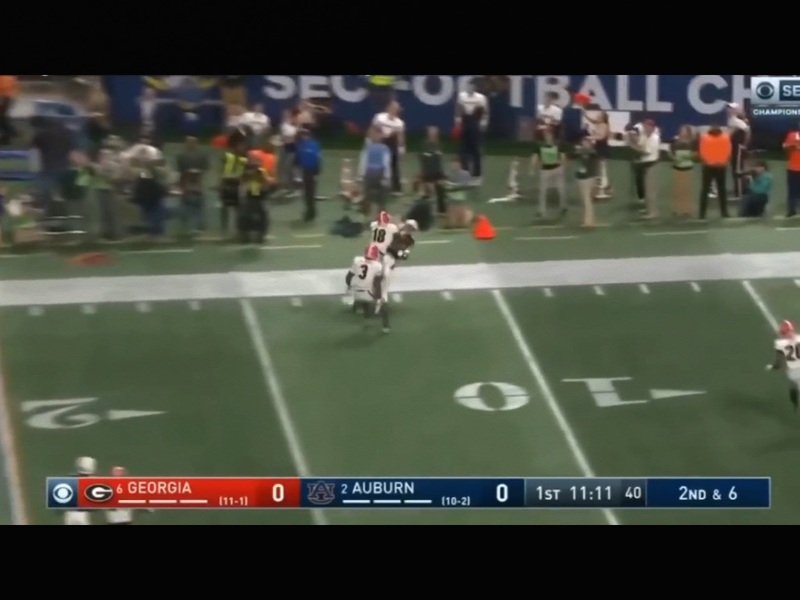 After Georgia had sniffed out a couple of plays it was 3rd and goal. The motion man gets the Bulldogs to show that they’re playing man. After the motion clears, the play action to the right freezes the inside linebacker enough to keep the space open on the slant. 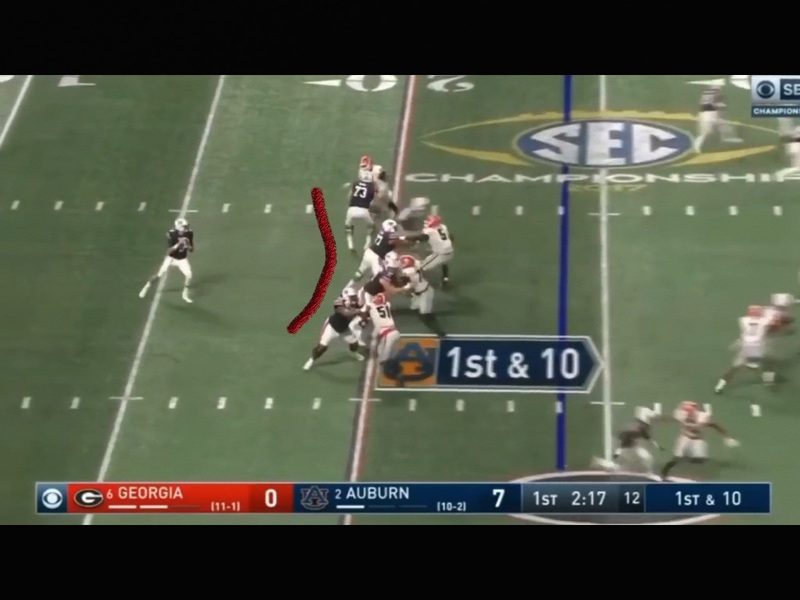 The safety at the bottom of the U with his feet on the goal line has to stay outside in case the jet sweep motion is a give or if Stidham raises up and throws it out there he’s there to help. 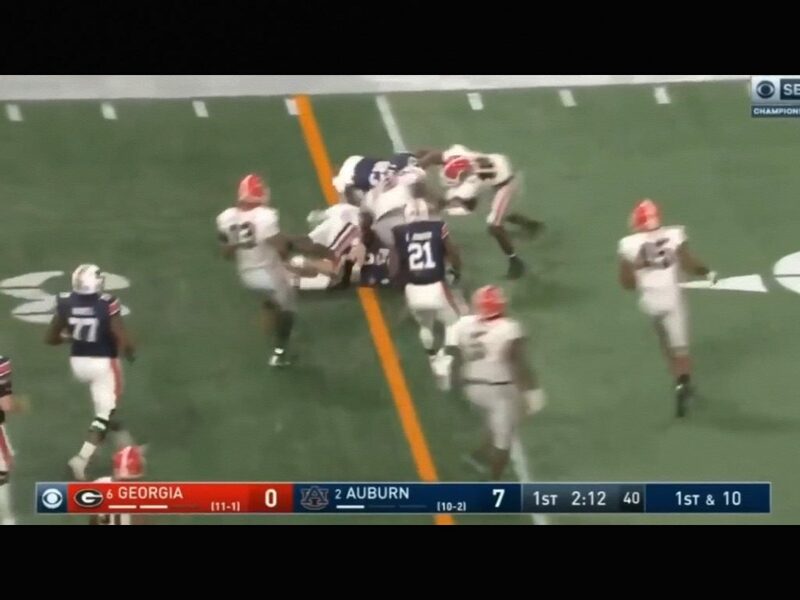 All the window dressing freezes the Bulldog defense and Auburn scores to go up 7-0. 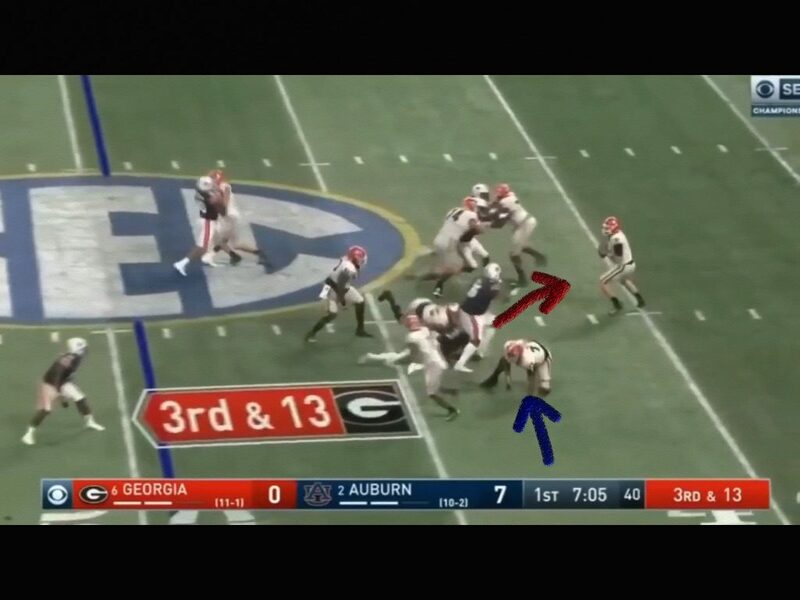 When Georgia got the ball, they struggled with protecting Fromm too. 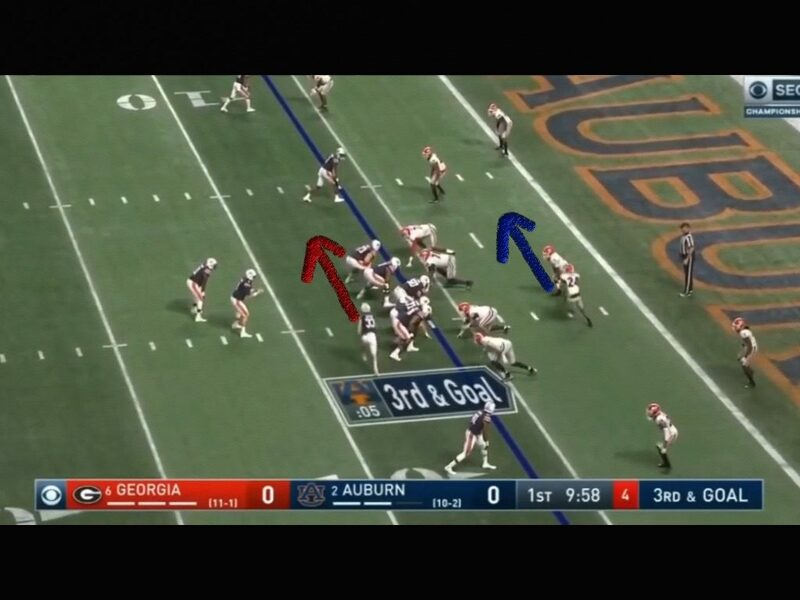 Auburn brought 6, but the Dawgs got beat at the bottom, and passed off the protection wrong at the top to let a guy get through. This was a hit and a sack, and again early on it appeared that the pundits were right. A few plays later, they are at 3rd and 13, and the protection breaks down again. #77, their left tackle had a bad series. He’s a heck of a warrior, but he’s not very long for a left tackle going only 6’2″. I expect Obo to be able to make a couple of plays on em. After a punt, Auburn gets the ball back. The offensive line does a really nice job protecting Stidham and giving him a really good pocket to step into. 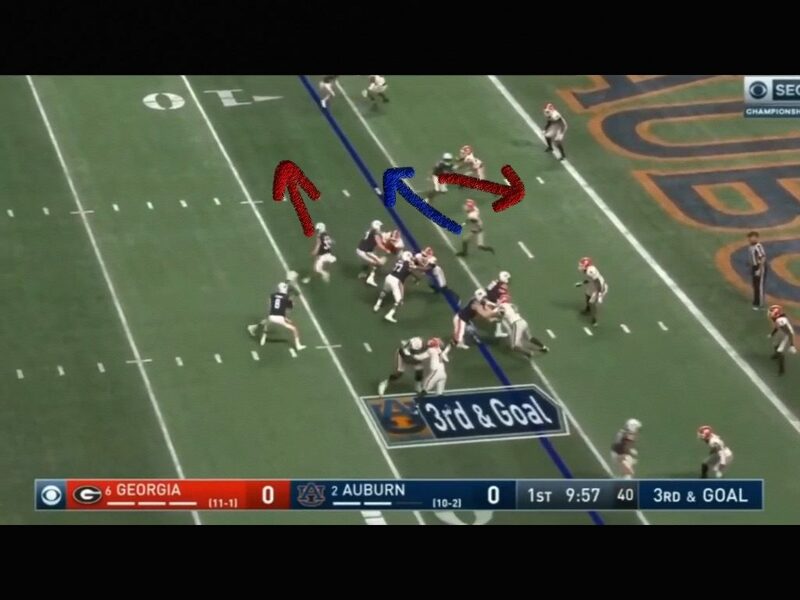 After Stidham recognizes everyone is covered and he has man coverage at that, he pulls it down and sneaks out the back door. Stidham is a good athlete, but I think Baker may be a step quicker and have better escapability. Even still, while it’s going to be a tough matchup, I believe the Sooners can move the ball on these guys. If they play clean, no penalties and turnovers, they’ll have success.